Get a Free Ride at Belmont Park with $22 purchase at the ticket office. 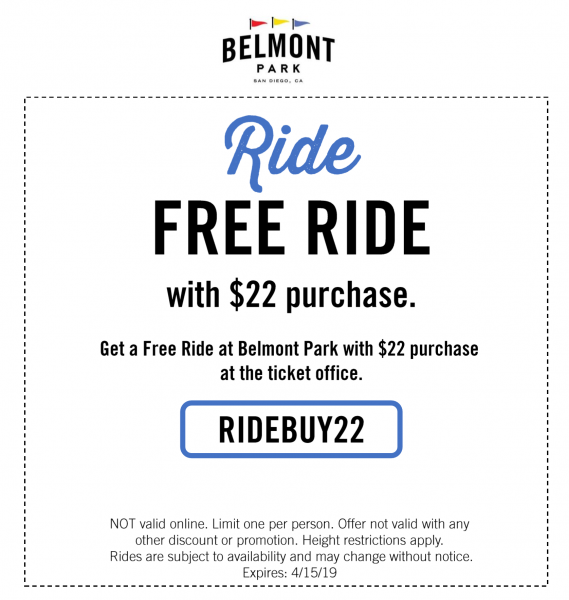 Show coupon on mobile device or print and present at Belmont Park’s ticket office to redeem. This offer is not valid online.